ROYA weighs just 16.1 grams, and her right eye is bloodshot and kept mostly closed. That’s bad, but ROYA is one tough little bird. 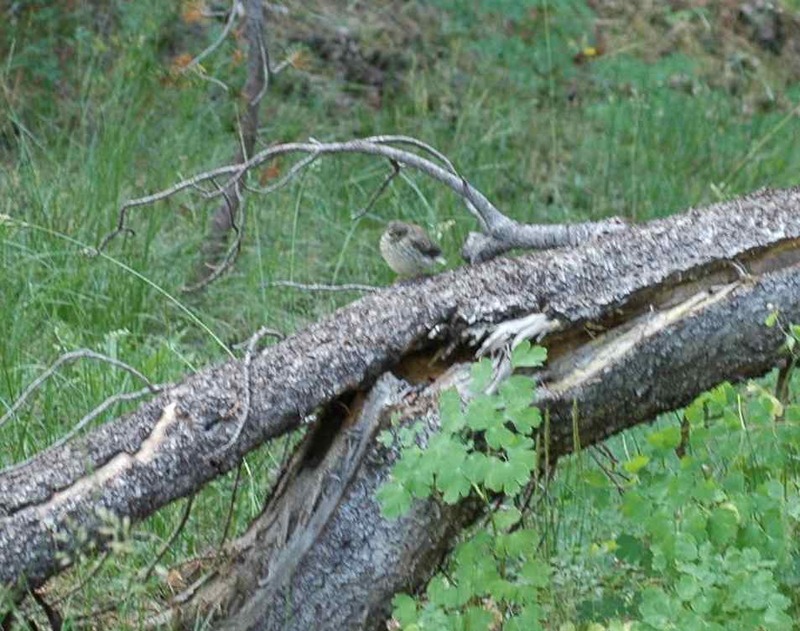 You would never know that she is one-eyed from watching her: she flies, she forages, and she feeds her chick—who is in his young-fledgling, über-needy stage—nonstop. If she can keep it up for another week, he’ll be able to fend for himself, and she will have successfully raised a brand new junco. I really wanted to band her fledgling, but while he seemed dopy (he cheeped nonstop, letting us know exactly where he was, and let us get maddeningly almost within arms’ reach of him), he knew when to fly, and he never flew into the net either. ROYA is doing a good job. 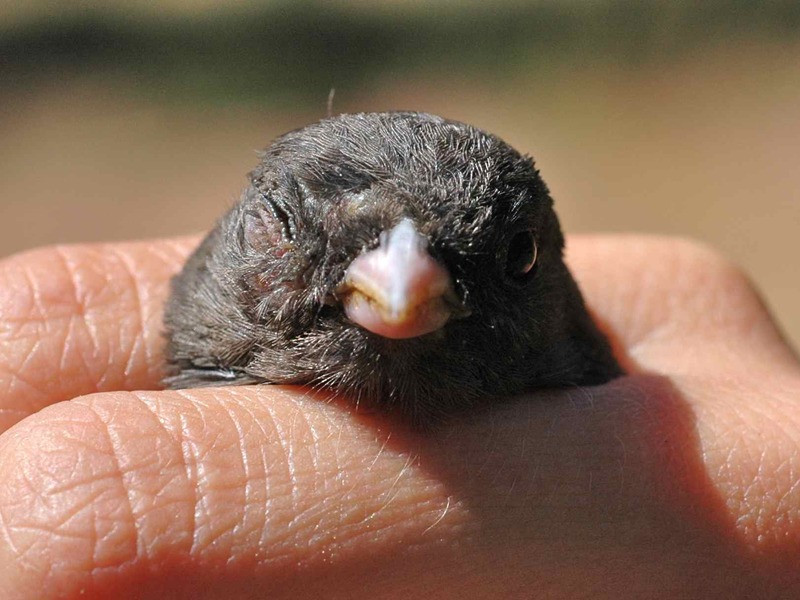 This entry was posted in DEJU, notable juncos and tagged birds, chicks, Dark-eyed Junco, eyes, fledglings, parental care, ROYA by toughlittlebirds. Bookmark the permalink.